Unlike most media outlets, The Huffington Post actually pretends to take an interest in education. However, I continue to believe that their Education section was created to be an advertising platform for the truly awful film, “Waiting for Superman,” remembered as the Howard the Duck of education documentaries by the three other schmucks and I who paid to see it. Regardless of their motives, The Huffington Post, is a frequent mouthpiece for the charter school movement and unofficial stenographer for corporations trying to make a quick buck off the misery of teachers and students. The Huffington Post recently featured an article, “The Most Popular Books For Students Right Now,” authored by their Education Editor Rebecca Klein. I clicked on the headline with interest, because I’m a fan of books and reading (I know a truly radical view for an educator). What I found was quite disappointing. Aside from the fact that six books were the favorite across twelve grade levels, the books fell into two obvious camps; books kids like and books they were required to read by a teacher. Nonetheless, data is data and Web users like lists. That’s like saying ISIS is a magazine publisher Donald Trump, owner of an ice cream parlor. While factually true, this is what Sarah Palin might call putting lipstick on a pig. Renaissance Learning is a wildly profitable company that sells Accelerated Reader, a major prophylactic device for children who might otherwise enjoy reading. The product is purchased by dystopian bean counters who view small children as cogs in a Dickensian system of education where nothing matters more than data or achievement. Their product creates online multiple-choice tests that schools pay for in order to quantify each child’s “independent” reading. If the school doesn’t own the test for a particular book a kid reads, they receive no credit. Kids routinely dumb down their reading in order to score better on the quizzes. Accelerated Reader rewards compliance and speed by turning reading into a blood sport in which winners will be rewarded and their classroom combatants, punished. When you look at the “favorite” book list featured in The Huffington Post, please consider that kids read The Giver and The Crucible because they are standard parts of the curriculum. This tells us nothing about what kids at grades 7, 8, or 11 actually like to read. Seeing Green Eggs and Ham as the first grade winner should make you sad. Can you imagine taking a comprehension test on this classic??? How vulgar! The Grade 2 favorite is also likely assigned by teachers, Click, Clack, Moo: Cows That Type. 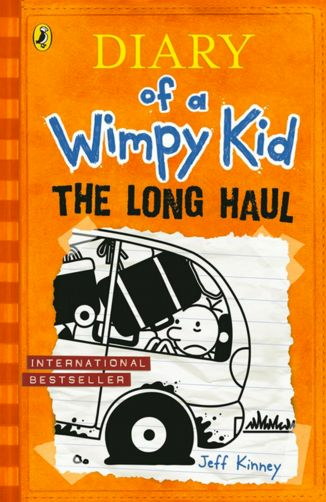 The mind reels when I try to imagine the test measuring comprehension of the comic book/graphic novel, named favorite book by 3rd, 4th, 5th, AND 6th graders, “Diary of a Wimpy Kid: The Long Haul. First of all, we should be alarmed that this simple book tops the charts for four years, but don’t forget that kids will be tested by a computer on their comprehension of this delightful comic book. An Australian federal court just ruled for teachers in amazing fashion that should impact educational practice everywhere on earth. The court ruled that materials and tools teachers need to do their job should be paid for by their employer and not by the teachers. What the state department of education did was urge teachers to purchase laptops through automatic salary education schemes of between $8 and $34 Australian dollars per month (approximately $6 – $26). More than 40,000 teachers and principals participated. Who wouldn’t want a top-of-the-line MacBook Pro for $26/month? Teachers then had to do clerical work, report grades, attendance, etc… via the laptops. After about $20 million (AU) was taken from teachers this way and tens of thousands of educators got laptops, the Australian Education Union filed suit claiming that since the laptops were required by the job educators perform, their employer should pay for such hardware. Imagine that? Teachers should have ample supplies and technology required to do their job provided for them like any other employee. The Australian Federal Court sided with the education union and has ordered the State to refund the money educators paid for their laptops, PLUS INTEREST! “Teachers need computers to write school reports, respond to parent emails, develop and co-ordinate curriculum, and collaborate with colleagues. They do not sit in offices at desks, they teach in classrooms – so they need laptop computers. The union also asserted that teachers were being asked to purchase laptops in schools where students were provided them by the school/state. “It is unreasonable to expect teachers and principals to pay for accessing their work computers. Students themselves in many schools have laptops under the one-to-one laptop program. Teachers are expected to engage their students in learning through digital devices and teach them the ICT skills they need to be successful learners in an increasingly digitised world, so they need a laptop,” says Peace. When will American educators sue for the supplies, tools, and technology they purchase in service of their employer? What are the implications for your school’s technology implementation? When a teacher (or student) DOES purchase her own computer, should a school be able to restrict its use? Congratulations to the Australian educators who spoke truth to power and won! Clearly teachers should use computers and if it’s a work tool, the court’s decision is correct. I remain a staunch advocate for every child having 24/7 use of a fully-featured personal laptop computer. However, the Victoria laptop rollout was a vision-free clusters#ck in which none of the intellectual or creative potential of computing had anything whatsoever to do with the real or intended use of the laptops. This is going to immediately cause problems for schools embracing laptops, even if the merits of this case are unrelated. This is because morons set education policy and anything associated with “laptop” is likely to now be viewed as toxic.